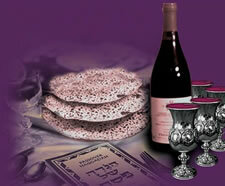 Hand-Made Shmura Matzah & Passover Wine! Include handmade shmurah matzah at your Seder table and share this sacred tradition with your friends and family. Recently Handmade shmurah matzah has become available in many Jewish supermarkets, but for your convenience, Chabad is still offering it to you. Please understand that Matza is sold by weight, so there may be approximately 6-8 slices of Matzah per pound. When calculating how much you need , consider that you'll need three whole "slices" for each Seder, two whole pieces per Shabbat and holiday meal, and more matzah to eat throughout the rest Passover. 1 lb.2 lbs.3 lbs.4 lbs.5 lbs.